Changing URL of an old post is something that I never wanted to do. What if the post loses ranking from Google. I have had this feeling when it comes to changing an existing URL. In the post On Page SEO Checklist, I’ve mentioned that adding the focused keyword in URL can help you in ranking. And a lot of readers asked me should they change old post URL to add keywords. I said NO. I still recommend not to change the URL just for the sake of adding keywords. Recently I was in a situation where I had to change URL structure of a post. One of the affiliate managers asked me to remove a particular keyword from a post and even from the URL. Maybe, it was violating their rules. I had to do that, but I didn’t want to lose the ranking. I took some actions after changing the URL and guess what, I didn’t lose the rank. In this post, I will show you the 3 steps I followed to keep ranking after changing the old post URL. When you change a URL, most of the time WordPress automatically redirects old URL to the new URL. But what if WordPress doesn’t? The best thing to do is, set up a 301 redirection. It is the process of sending visitors and search engine bots from the old URL to a new URL permanently. It forwards site’s link juice to the new URL. Like everything, you can do it by using a Plugin. Redirection is the WordPress plugin that manages 301 redirections and fixes 404 errors. You can also do it by using Yoast SEO Premium version. Here’s how to do it using Redirection plugin. Once you’ve installed and activated the plugin, go to WordPress Dashboard > Tools > Redirection. You will find “Add new redirection” option there. Just enter your old URL in the “Source URL” box and new URL to the “Target URL” box. Then click on “Add Redirection” button. That’s it. Your old URL will be redirected to new URL. Now search engine spiders will find your new URL and index it, and will drop your old URL. While yon can’t change outbound links of the post, but you can definitely change the internal links. It might take some time to find the links and change the URL. But it worths your time. It helps the search engine bots to find your new URL and index it quickly. You can find internal links to a URL from Google Search Console. Login to Search Console and select the site. Then go to Search Traffic > Internal Links and enter the old URL. Then click on ‘Find’. It will show the internal links for the URL. Ignore the pages like tag, category, etc. Only go to the single post and update the old URL. Correct internal linking makes it easier for search engine bots to index and rank the right page. When you change a URL, bots take times to crawl the URL and index it. You can make it faster. Search Console has an option called “Fetch as Google” that lets you submit your updated URL for indexing. Go to Google Search Console and select the domain name. Then expand Crawl menu and click on “Fetch as Google” link. Enter the new URL to the input field and click on “FETCH” button. If the fetch status was complete, click on “Request indexing” button. Select “Crawl only this URL’ and click on ‘Go’ button. Your new URL will be indexed very soon. Sometimes, it happens within 5 minutes. These are the steps that I followed after changing the URL. Google took times to index the URL, but I didn’t lose the ranking. The surprising thing was, I had to drop a focus keyword from the URL, but the rank remained the same. Have you ever change the existing URL of your blog post? Share your experience with us. Most of the time WordPress redirects automatically. But I prefer manual redirecting. Changing permalink is a very audacious task. You have taken up the case of a very live problem of every blogger and found out the correct solution of implementing it. Thanks for sharing your experience. Please keep doing the good work. Nice article. Really helpful and informative article. If I want to change my indexed post URL, I think it has a negative effect. So without any important requirement, we should not change old post URL. Thanks for sharing with us. This is a nice tips for old blogger like me. I am looking for this for a long time. I got little bit article on this topic but due to lack of depth of the article I don’t figure out what to do. You described in details. I totally agree with Kalpana Sharma that “The best thing I like about your post is that your write in-depth article, you not only tell us what to do but also describe how to do”. Keep sharing such informative blogs with us. Recently I changed my permalink structure. After that, my site is getting very few traffic. First of all, Thank you so much for writing this article. You won’t believe, but I need this article badly. The best thing I like about your post is that your write in-depth article, you not only tell us what to do but also describe how to do. I am new to blogging and was wondering how to redirect my old URL to new one. Thank you so much for sharing this article with us. Keep on doing such amazing work and ALL THE BEST. Glad I could help. Let me know if you need any other helps. Useful and handy tips. Thanks Istiak. Once you set up 301 redirection, do you still need to update all the posts that links to the old URL? Won’t the 301 redirection handle for that? It will pass the link juice and there won’t be broken link, but you went one step ahead to manually change all those internal links! A 301 redirect doesn’t pass 100% link juice. It passes 90-99% of link juice (Source). So it’s a good idea to use the direct link. Amazing tips for rankings! These will be very helpful for SEO lovers like me. Can you tell me brother, is there any problem for ranking if I use some shortcodes in my blog post? Nope, it won’t hurt SEO. 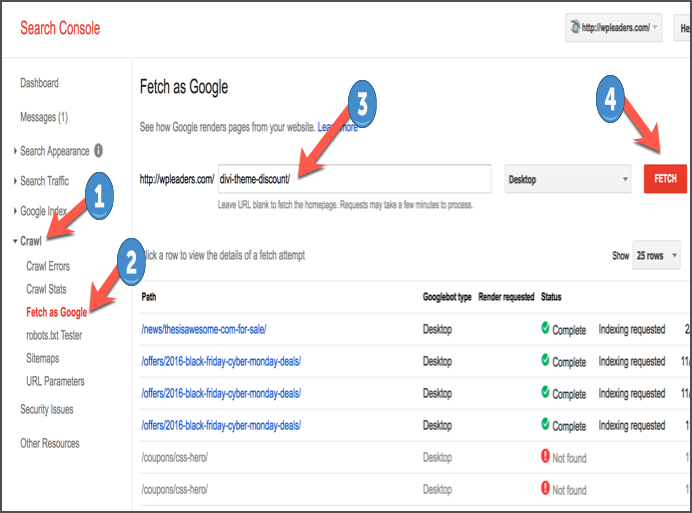 However, you can use this tool to check how Google sees your blog post after using shortcodes. Thanks brother. That’s a great tool. Very informative post I guess, I never read any post with this kind of detailed case study. Special thank you for your post because I could not know about this type of information before.